The abundance of warmth, energy, and inspiration within the group is unparalleled! 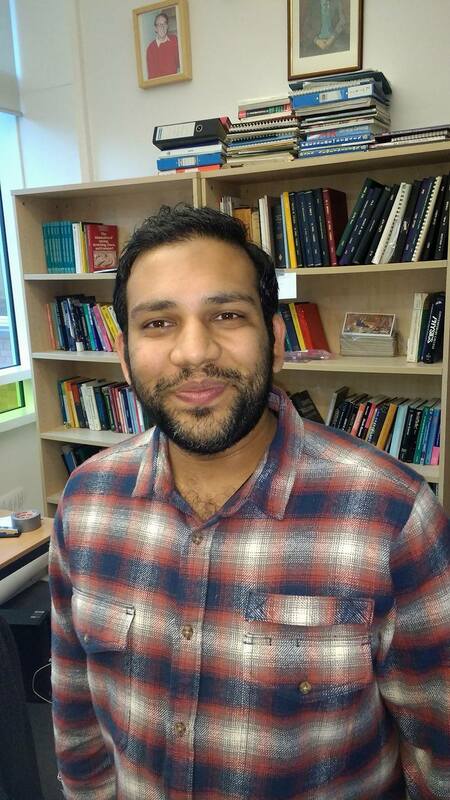 Ashish Garg is a Ph.D. student under Prof. Anne Juel and Prof. Matthias Heil in the Manchester Center of Non-linear Dynamics at School of Physics and Astronomy. His Ph.D. research concerns with the studies of yield-stress non-Newtonian fluids. He is currently engaged in exploring and doing numerical modelling of different behaviors of fluids under vibration. Prior joining Ph.D. studentship, he has worked as Research Assistant under Praveen C. in TIFR-CAM (Bangalore). He was Associate Engineer (CFD-Analyst) in Airbus-India. Founded and was CEO and Lecturer of GATE Aerospace Forum educational services, and also Co-founded Success Gear in India. Ashish has taught several subjects to undergraduates at GATE Aerospace Forum such as Aerodynamics, Propulsion, Aircraft Structure, Space Mechanics and Flight Mechanics. His Research interests include Computational Fluid Dynamics, Numerical Modelling, Gasdynamics, Computational Acoustics and Combustion, Yield-stress non-Newtonian fluids. Praveen C.,Ashish Garg, 2013 Vertex-centroid finite volume scheme on tetrahedral grids for conservation laws Journal of Computers & Mathematics with Applications, 65(1), 2013, P (58-74). Vidit S.,Ashish Garg, 2014 Numerical Investigation of Effects of Compound Angle and Length to Diameter Ratio on Adiabatic Film Cooling Effectiveness arXiv:1405.0560, P (1-13). Bachelors thesis: Optimisation of Aerodynamic efficiency in Longitudinal Mode of flight. Masters thesis: Method of Characteristics Design of Planar and Axisymmetric DualBell Nozzles. In his seven years of teaching experience, he has also written several books (published by GATE Aerospace Forum), which are specially designed for the preparation of GATE-Aerospace exam conducted in India. The title of books is Aerodynamics, Aircraft Propulsion, Space Mechanics, Flight Dynamics & Aircraft Structure.